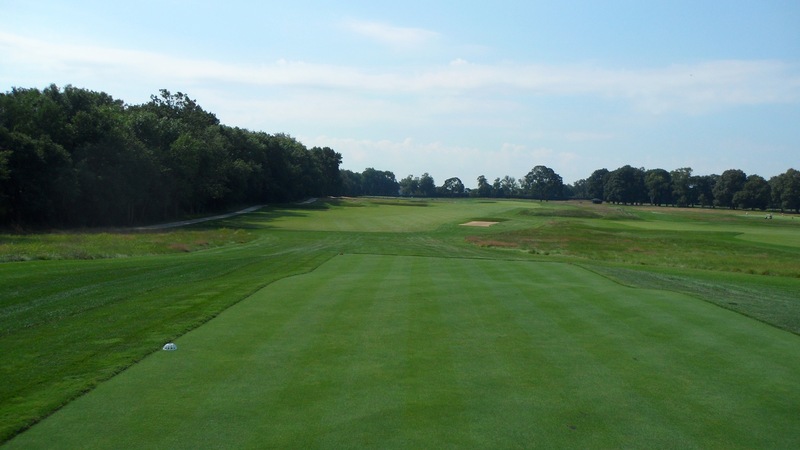 Continuing with our series from the The Itinerant Golfer’s quest to play all top 100 American golf courses, The Scratch Pad is glad to bring you a profile of the 4th rated golf course in America, Oakmont Country Club. Oakmont Country Club is one of the most famous courses in all of golf. There have been 19 National Championships contested over the golf course at Oakmont Country Club including five US Amateurs, three PGA Championships, two US Women’s Opens and EIGHT US Opens with a ninth coming in 2017. There is no question that Oakmont Country Club is a favorite among the golf magazines that rate courses as it is always ranked in the Top 10 and quite often in the Top 5. Oakmont is a golf course that is known worldwide for its legendary green speeds and for being one of the most pure tests of championship golf on the planet. Founded in 1903 Henry C. Fownes designed the course on the principle that “no poor shot should go unpunished”. According to legend, Mr. Fownes and his son used to sit on the golf course and watch play from the club’s members in order to “improve” the course. When they saw a poorly played shot a bunker would be placed in the spot where the player’s ball landed. Wow, that’s just downright mean! Over its 100+ year history Oakmont has undergone many changes. The course was thought to have gotten too difficult and a significant number of the bunkers were removed over the years so the course wouldn’t be quite so penal. Most recently there was a major thinning of trees on the course. Historic photos show that when the course was built that there were not a tremendous number of trees on the property. As is apt to happen over time the trees had began to multiply, expand and ultimately impede play. As is usually the way at most clubs the idea of thinning out the trees proved to be a significant controversy among the members. During the 2007 US Open it was widely reported that the mission to remove trees had been a covert one with crews working all night under the cover of darkness so as not to arouse conflict with the members. In the morning there would be no trace of their work other than the missing trees. I wonder how long they got away with that before members started noticing their favorite trees missing! I played the course in 2011. The clubhouse at Oakmont is a classic tudor style building and has a great aura to it. In the locker room the benches are covered in spike marks from days gone by. You just can’t help but think about all the greats who have laced up their shoes in that locker room on their way to victory . . . Bobby Jones, Gene Sarazen Sam Snead, Tommy Armour, Ben Hogan, Jack Nicklaus and many, many more. Once we had our shoes on we hit the practice tee where we met our caddies and warmed up with a few balls. From there we walked to the practice green to roll as many putts as possible to get a feel for the lightning fast greens. I dropped a couple of balls that immediately rolled 15 feet away from me. Yikes! The practice green at Oakmont is a part of to the 9th green so technically the green is enormous. The photo below was taken on the practice green and shows the iconic Oakmont clubhouse over looking the course. Merion Golf Club . . . so much history has happened here that a book could be written on that alone. With a current count of 17 USGA events having been contested over Merion’s East Course that is more than any other course in the United States. Bobby Jones’ first major was the 1916 US Amateur played here, he won the US Amateur here in 1924 and of course his historic US Amateur win for the Grand Slam in 1930. Ben Hogan executed a miraculous comeback to the game here at the 1950 US Open after a near death automobile accident just 1 year earlier. Lee Trevino defeated Jack Nicklaus in a dramatic 18 hole play off to become the US Open champion in 1971. As much great history as there is, the story is far from finished for Merion. The USGA will be coming back to Merion for the Walker Cup in 2009 and the US Open will return in 2013. Until 1941 when the club changed it’s name to the current version the club was known as the Merion Cricket Club. There are two courses here, the West and the more famous East. 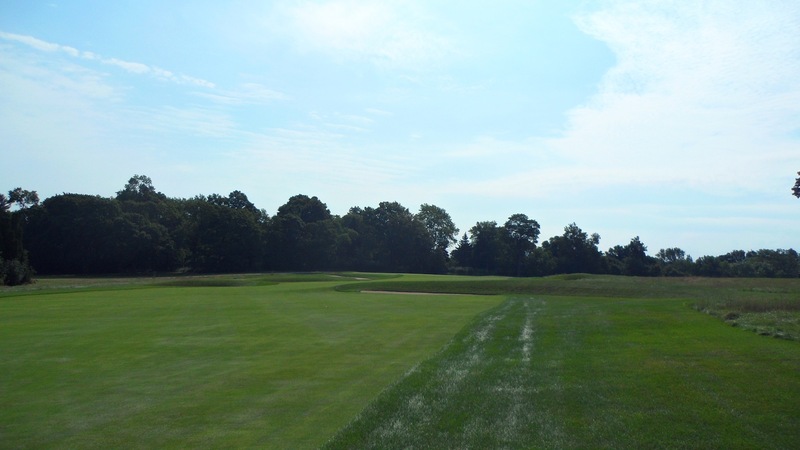 The club was originally founded in 1896 and played on the original golf course in neighboring Haverford. In 1910 the members decided to build a new course and sent member Hugh Wilson, a Scottish immigrant, to Scotland and England for 7 months to study golf course design. He returned with a head full of ideas and proceeded to layout the East Course which opened in 1912 and then the West Course which opened in 1914. That is a pretty incredible turn around time for getting courses built considering that it was done without the help of modern machinery in those days. Another amazing feat is that the East Course covers just 126 acres which is nothing compared to other golf courses. Augusta National covers almost triple that acreage at 365. If you want to get a chance at playing a Hugh Wilson course you have very few options. The only other courses he designed besides Merion’s East and West are Cobb’s Creek and the last 4 holes of Pine Valley.